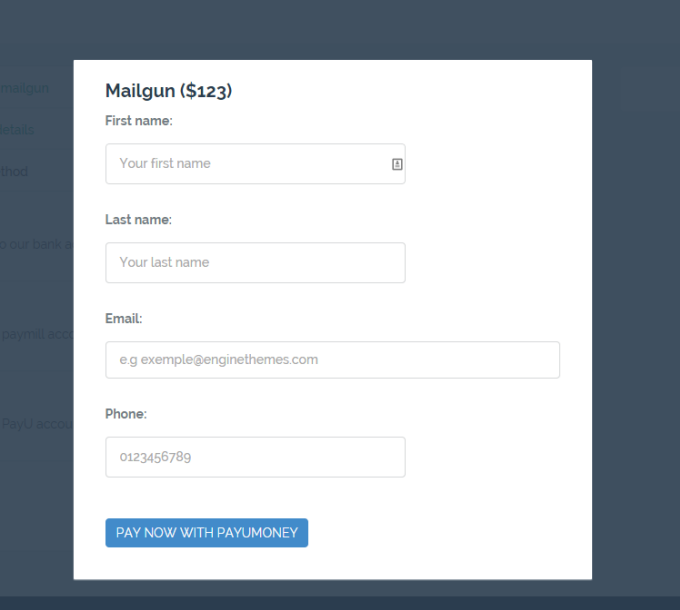 Your merchant Key-Salt will be available once your account is approved for Website Integration. Please contact (merchantcare@payumoney.com) for more details. 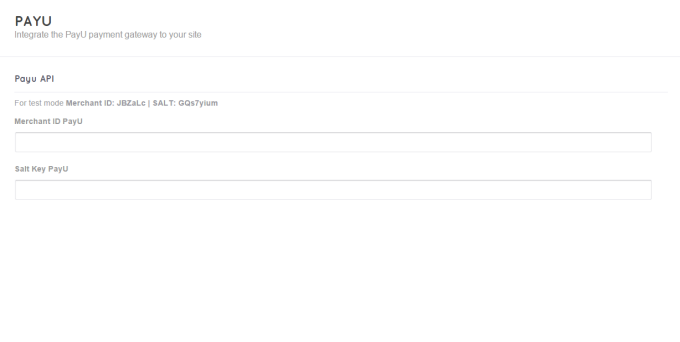 To make the first configuration, hover the mouse on “Engine Setting” and click on "PayU”. Merchant ID – Enter the Merchant Key supplied to you (Please don’t enter the Merchant ID supplied to you). SALT - Enter the Merchant Salt supplied to you. 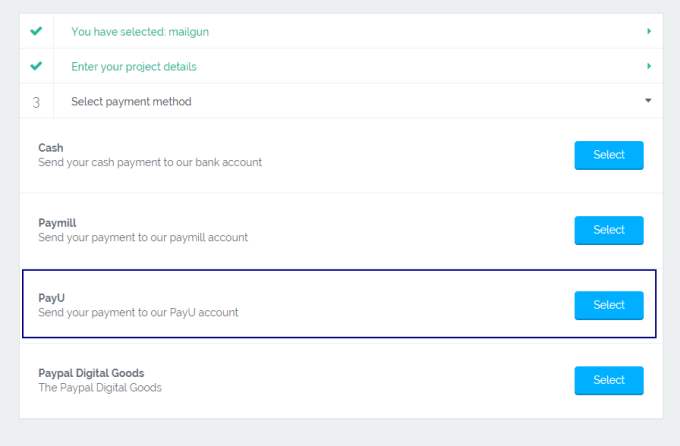 Select the PayU option and insert necessary information. 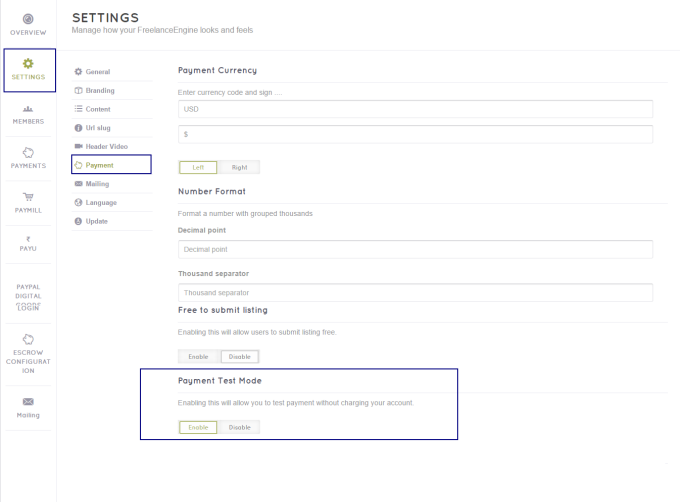 Click Pay Now With PayUMoney to start the payment process.